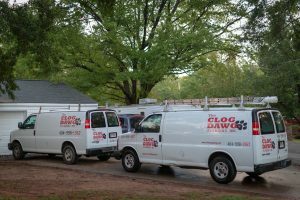 Under your home, plumbing lines buried beneath slabs are vulnerable to constantly shifting earth.. If the ground moves too much, leaks in the plumbing lines can easily develop. A slow leak beneath a home can cause the soil to shift more, which can make the leak worse. The potential for increasing damage makes early leak detection essential. Even the smallest of leaks can yield devastating results. A leak the size of a pinhead, for example, can waste 360,000 gallons per year, enough to fill 12,000 bathtubs to overflowing. Slab leak detection and foundation leak repair play a vital role in keeping your home’s foundation intact. We would much rather locate a suspected leak than to do major repair work afterward. 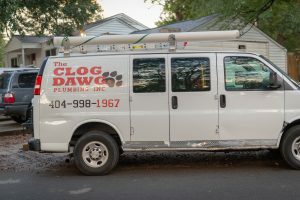 But how do you know when to call your plumbing repair company, The Clog Dawg Plumbing, Inc? Leak detection is a vital part of assuring your home’s plumbing system is functioning well and safely. 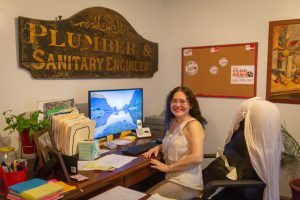 You stand to save a lot of money on needlessly high water bills and avoid possibly having to spend tens of thousands of dollars on foundation repair and restoring a flooded home. For more information, read our blog post about slab leaks and early detection. 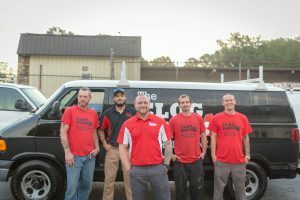 The Clog Dawg recommends annual plumbing tune-ups as the best way to spot little problems before they have a chance to become big problems.